WEST PALM BEACH, Fla. — Shortstop Adeiny Hechavarria and the New York Mets have agreed to a minor league contract with an invitation to big league spring training. Hechavarria is a light hitter known for his defence. He gives New York a legitimate, established shortstop who could be a backup to young starter Amed Rosario. Even with a crowded infield, that's something the Mets were lacking as they opened spring training. "From the onset we wanted to create depth and versatility at a variety of positions. The shortstop position in particular was one that we felt like we wanted to continue to create options," new general manager Brodie Van Wagenen said at spring training media day. "Rosario is a premium guy. He's young and he's improving every day and the goal is to make sure we can surround him with not only support to get better, but also give us some protection in the event that we need to get him help or need to replace him in some scenario. So that was something we've wanted to do from the beginning of the off-season." 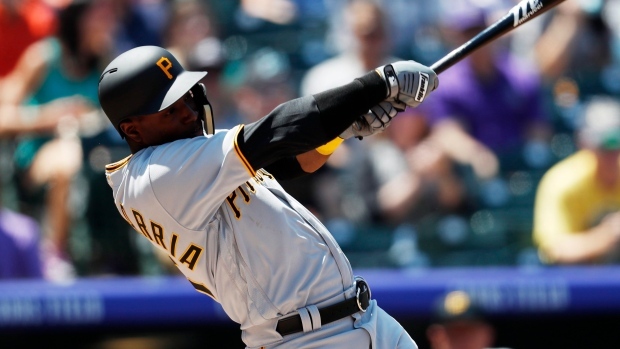 Hechavarria, who turns 30 in April, batted a combined .247 with six homers, 31 RBIs and a .624 OPS in 94 games last season for the Rays, Pirates and Yankees. He has also played for Toronto and Miami and is a .254 career hitter with a .635 OPS in seven major league seasons. "This is a team that we do think can contend, and you can't contend unless you have depth and have major league players to come in and fill in," Van Wagenen said.